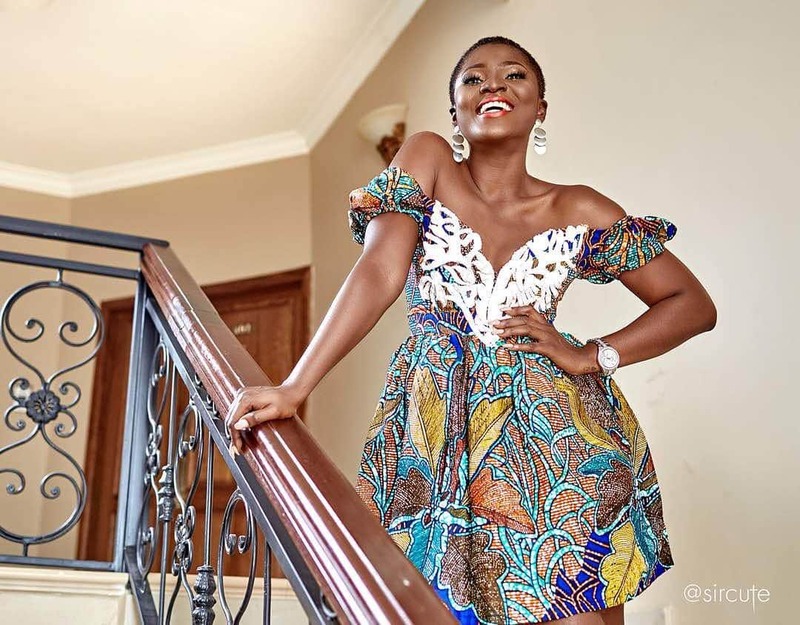 Ghanaian actress Priscilla Opoku Agyemang, popularly known as Ahuofe Patri has in recent times been criticised for her choice of dressing in photos she posts on social media. But the beautiful actress' latest photo has earned her praise and admiration for its decency. In the new photo sighted by YEN.com.gh, Ahuofe Patri was seen wearing a cream-coloured top over a soldier green skirt with a beautifully designed kente jacket over her blouse. With her black high-heeled shoes and bag, Ahuofe Patri looked gorgeous as she sat in a chair to pose for the picture. "It’s gonna be a good week @kalybos1_pro this one de3 gye ✌," she wrote. Ahuofe Patri's photo has been adjudged by many of her followers to be beautiful and decent and they have showered praises on the actress. abena.achiaa Ms Priscilla pls where can I get this jacket, you look so pretty in it. My complements to you dear, you killed it.